Silk reflects elegance and sophistication by its shine and glitter. Silk is highly in demand because it’s as soft as a human hair and as strong as wire. 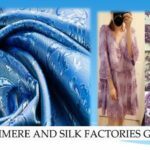 With a huge variety of silk fabrics available in the market, people often get confused with what they expect and are willing to buy. Silk is one of China’s contributions to the entire world and the China Silk fabric industry is growing fast. Silks are considered to be a luxurious, light- to medium-weight fabric with a shiny, lustrous finish. They are used to make smart clothes, wedding dresses and evening wear. Being expensive, there are many polyester versions available of the different kinds of fabrics. Charmeuse is a satin-weave, lightweight silk fabric with a shiny right side and matt wrong side. It can also be made from rayon, viscose, polyester or blends. It is highly soft and drapes well and is mainly used for blouses, delicate dresses and lingerie. But Charmeuse needs to be carefully hand washed and cool ironed on the wrong side. It is a lightweight, plain-weave, smooth silk fabric with a matt texture and muted lustre. It is highly used for making lingerie, blouses and evening wear. You need to dry clean and cool iron Crêpe-de-chine using a pressing cloth. Made from tightly twisted fibres, Chiffon is ultra-lightweight plain-weave silk. Having a semi-transparent or sheer look, it’s highly used for lingerie. Moreover, it has a little bit of stretch and a slightly rough feel, though it’s smoother than georgette. Also, the reduced-cost versions are made from polyester. These silk chiffons are generally used for blouses, lingerie and evening wear. Chiffon needs to be taken care properly at the time of machine wash, hand wash.
It’s a smooth, crisp, plain-weave silk fabric which creases easily and makes a rustling sound in some cases. Being light- to medium-weight fabric, it has a finely ribbed surface texture and a lustrous finish. Shot silk taffeta is woven with different coloured warp and weft threads which produce an iridescent appearance. In the fabric industry, there are many cheaper versions of taffeta produced from acetate and polyester. Taffetas are mainly used for making dresses, jackets, bridal and evening wear. This fabric can prove out to be a little tricky to sew as it’s important to handle it as little as possible. It’s a medium- to heavy-weight silk fabric with a soft, luxurious feel. Made from a dense pile or nap which lies in one direction, it’s made with short thread loops. There are also cheaper versions of velvets available in the market. They are manufactured from cotton, rayon and synthetic fibres. The shades of velvet can look different depending on the type of fabric. Moreover, when cutting out pattern pieces, you need to take the colour thing into consideration. You need to follow up by stitching velvet with a fine needle, preferably in the direction of the nap. Also being called as crêpe Georgette, this lightweight, loosely woven sheer fabric is made from highly twisted yarns. With a crinkled surface, it’s manufactured in plain and patterned versions. Sometimes it’s made from polyester rather than silk. It’s mainly used for blouses, dresses and evening wear. You need to dry clean or use a warm iron without steam. This type of silk fabric is made with silk fibres which have been cleaned off the gum but no additives are added to it for compensating the weight loss in boiling and cleaning the fibres. It is considered to be the purest and finest of silk products. Being a low sheen and slightly bulky silk fabric with a nubby texture matte surface and rough finish, it’s highly in demand. It’s also being called as raw silk. Being made from the short fibres left after combing and carding, it is why it does not have the shine of other silk fabrics. Short fibres with several knots are used in weaving this fabric which results in slubs on the surface of the fabric that leads to nubby texture. This fabric has a cotton look, but is soft like silk and has a good drape. Moreover, it does not wrinkle easily. Being easy to sew and easy to care for, they are highly used. China silk is similar to Habutai in all aspects other than that it’s smoother. Being thin like silk, it’s highly used. You can use it as a lining for gowns, rather than making gowns with it. Being very fine, sheer plain-weave silk fabric with a sheen, it is highly used and preferred. Being woven from highly twisted threads makes it very strong. Being lightweight, Organza is crisp and is often used for trims, collars, facings and fabric flowers as well as for evening and bridal wear. In some cases, it can be difficult to sew because it’s so lightweight. This is a blend of cotton and silk. It has less sheen than silk and is very inexpensive as compared to silk. The best part is that it’s not slippery like silk and is a bit heavier. A blend of wool and silk fibres creates a fabric named Silk Wool. It has most of the features of both the fibres like warmth without the added weight, breathability, moisture absorption, drape, resistance to wrinkles, suppleness. Silk wool does not give a scratchy feeling as pure wool does. Silk cashmere, silk merino wool and many other such fabrics come under this category. It’s an artificial silk made from rayon fibres which look like silk. It has the sheen of silk but with less drape and durability. Being the best and inexpensive alternative to silk, it’s highly in demand. Well, with all these silk options available in the online market, you can easily choose the one you like. Moreover, if you are willing to buy silk fabric, you can easily choose from such a wide variety. So, just take a step ahead, do some research, hunt for the best silk fabrics that can match your needs and choose wisely.